These very interesting chickens are rare, and many people are fascinated by the way they move and they way they are feathered. 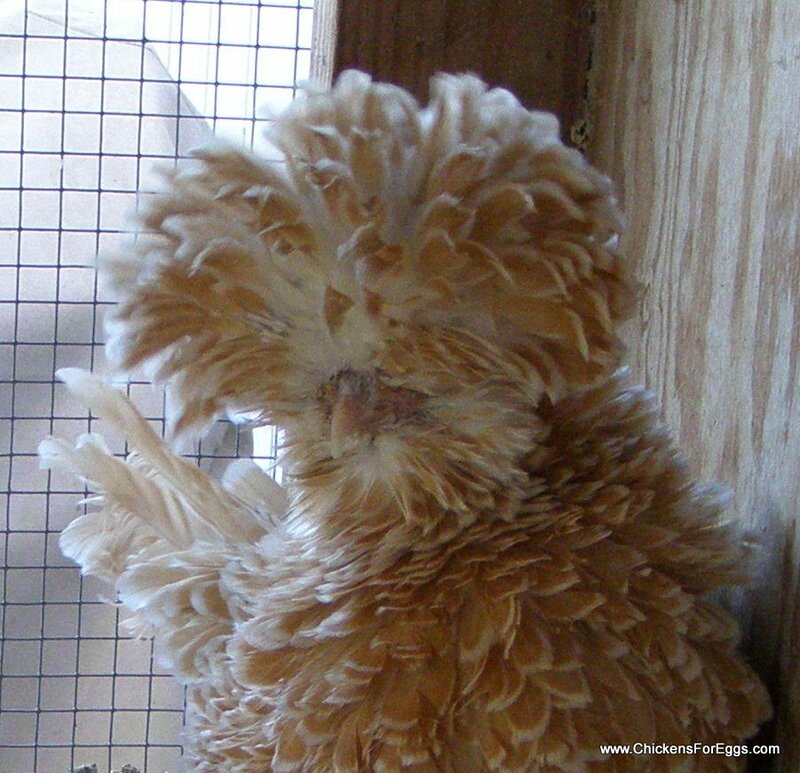 The Polish breed originated in Eastern Europe and are often identified by their "crest" of plumage on the tops of their heads. According to the American Standard of Perfection, it is a long established pure-bred chicken mentioned as far back as the sixteenth century. It is among the most ornamental and beautiful breeds, highly prized for exhibition and the production of white-shelled eggs. The Bearded Buff Laced variety was admitted to the APA standard in 1883. The typical male weighs 6 lbs and the female weighs 4 1/2 lbs. Lately we have received many emails about buying Polish birds, which is exciting! We love that so many people are interested in this fun breed and variety. While all of our birds are pure-bred, we often have pet-quality birds available during the fall and early spring months (Oct-Feb). There is currently a lengthy waiting list for Buff Laced Bantam Polish with frizzled feathers. However, we usually have several smooth feathered birds available at any given time. This spring we have a VERY limited amount of hatching eggs available, and a few adult Bantam Polish (smooth and frizzle feathered) available for sale. While we always take care to pack the birds appropriately and safely, you buy and ship at your own risk. We do not guarantee birds, shipping, or provide any type of a warranty. Female with frizzled feathers on the left, and male with frizzled feathers on the right. Female with smooth feathers on the left, and a male with smooth feathers on the right. Female with frizzled feathers on the left, and a female with smooth feathers on the right. A female with frizzled feathers on the left, and a male with frizzled feathers on the right. Female with smooth feathers on the left, male with smooth feathers on the right. Female with frizzled feathers on the left, and female with smooth feathers on the right. 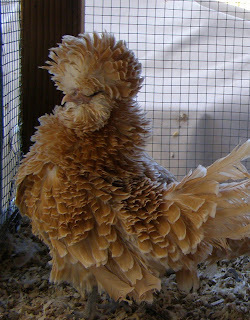 Female with frizzled feathers on the left, female with smooth feathers on the right. If you have any questions after reading the above information, please do not hesitate to send an email! 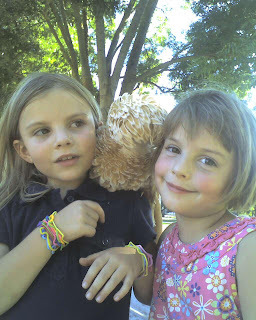 These two little ladies welcomed a new addition to their backyard flock! Yes, that is a chicken perched between them, one of the Frizzled (Bearded) Buff Laced Bantam Polish. Gorgeous breed! 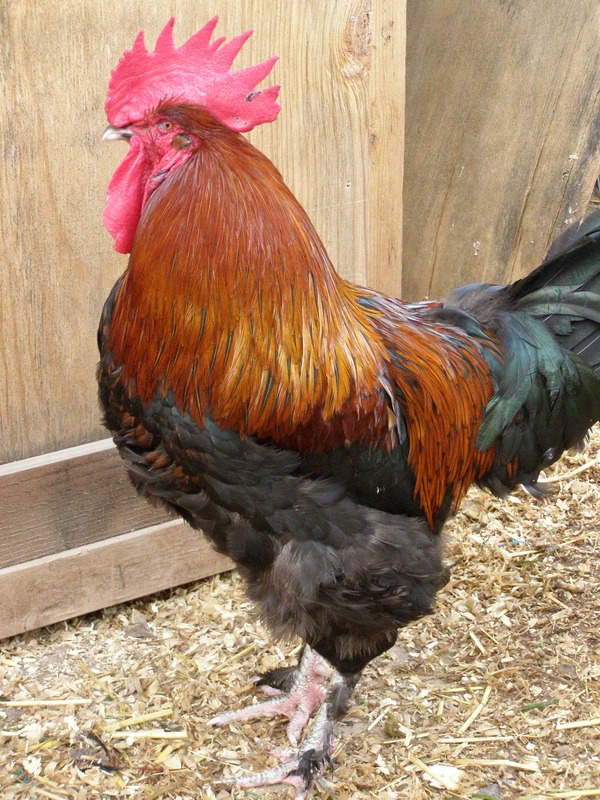 Especially known for their hen's dark eggs, these majestic birds make great flock protectors as well as being a dual-purpose chicken (for meat). If you would like to see pictures, feel free to contact us!